New Jersey’s workers’ compensation laws are different from those in many states, and one of these differences is the calculation of permanent partial disability payments. New Jersey has two basic types of payments. The first is temporary disability payments, which pay medical expenses and lost wages while an injured worker is off work recovering from his workplace injuries. These payments end when the worker recovers and returns to his job or obtains maximum recovery. This payment is similar to workers’ compensation in other states. However, unlike other states, an injured worker may also be entitled to permanent partial disability payments after the temporary disability payments stop. What Are Permanent Partial Disability Payments? Permanent partial disability payments are based on the loss of function that a worker suffers due to his injury, not a loss of future income. The loss of function can be related to his work or a loss of non-work related injuries, such as sports, hobbies, or activities at home. 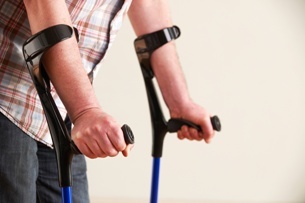 A determination of permanent partial disability is generally not made until the worker has completed his medical treatment and has a final prognosis. It can be awarded even if the worker returns to his job. The worker must show objective evidence of the impairment. This can be done through the use of diagnostic tests, surgery, or other medical evidence. The worker must show other evidence of a reduced work ability or a substantial impact on non-work activities. His testimony will be critical to showing this, and an experienced workers’ compensation attorney may use other evidence as well to establish this. Each case is decided on its particular facts. Both the employee and employer’s workers’ compensation insurance company will have their own expert reports on whether the injury caused a permanent loss of function. The payment will be based on the percentage of loss of function the individual suffered and the range of payments that are allowed under New Jersey’s workers’ compensation laws. For example, the minimum weekly payment would be $35.00 and the maximum payment would be $896.00 in 2017. Proving your right to partial permanent disability payments and the amount that you should receive can be complicated. You need an experienced workers’ compensation attorney who can obtain the evidence and hire the expert witnesses you need to prove your case. He will have strategies to defeat the arguments of the workers’ compensation insurance company who may fight harder to reduce or deny your claim because your award will be higher than if you had not suffered a permanent partial disability. Manfred Ricciardelli has been helping injured workers receive the workers’ compensation benefits they deserve for over 20 years. Call our office today to schedule your free case evaluation to learn how he can help you.